DEVON’S 2ft 9in-gauge Seaton Tramway formally opened its new £3million terminus station at Seaton on June 28 after 10 months of construction work. 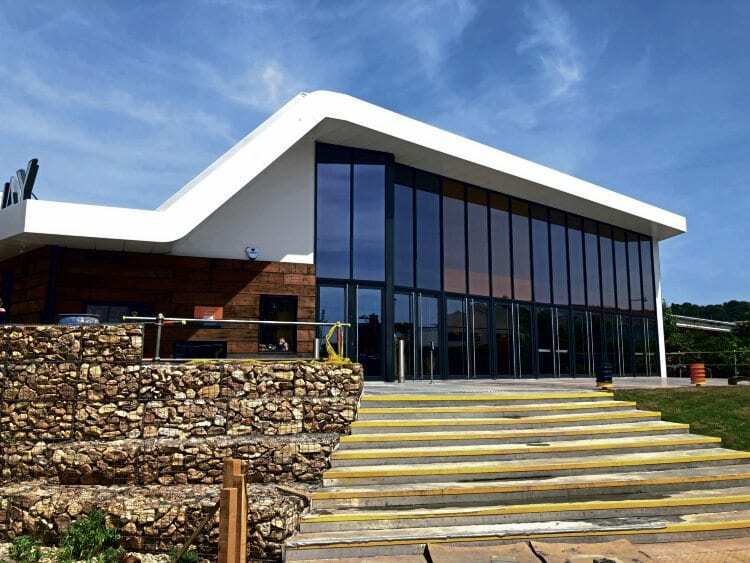 The new facility is a big departure from the Edwardian-style ticket office it replaces, being built in a contemporary modern style and making use of expansive glazing to make the best use of natural light. Internal floor space covers 301sq m and includes a new gift shop and cafe, named ‘Claude’s’ after the tramway’s founder Claude Lane. Some 450 tonnes of ballast, 300 sleepers and more than 190 piles have been used in the project, which sits two metres higher than its predecessor. Four platforms provide covered accommodation for four trams at night, which can be viewed by the public, while brand new interpretation explains the fascinating story of the tramway’s history and the origins of the route it follows.